You are a music teacher interested in writing a guest post for jazz-guitar-licks.com ? Very nice ! Only music lessons are accepted (piano, guitar, bass and other instruments) for beginners and advanced players. Your content must be unique (never published on the web) relevant and helpful. If you’d like to write a guest post on jazz-guitar-licks.com please let me know using the contact form . There’s no doubt about it that if you want to be the best at anything, it pays to borrow a page or two from some of the most popular legends before your time. The swing feel is a fundamental aspect in jazz band music, and if you didn’t know, most of that fire in the rhythm comes from the drummers. Yes, the other instrumentalists such as the pianist, trumpeter, and guitarist may get more attention, but we can’t overlook the importance of the drummer in jazz music. But back to the earlier mentioned idea, who would you look up to as an aspiring, learning, or practicing drummer in a jazz band? Perhaps you might just find your role model in this list, here are the 10 best jazz drummers of all time. Beginyourdrumming.com/ have compiled a list of their favourite Jazz drummers of all time. 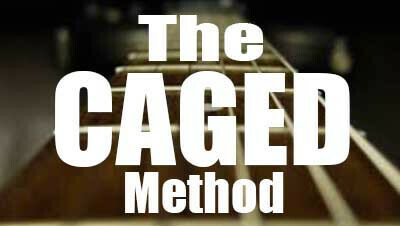 One of the most daunting shifts for any guitarist can be entering the world of jazz guitar. We’ve all read jazz tutorials and watched videos by those in the know and it’s a vast world full of new theoretical and practical concepts. Most guitar players get into playing through rock/blues and find jazz later on their ability spectrum. 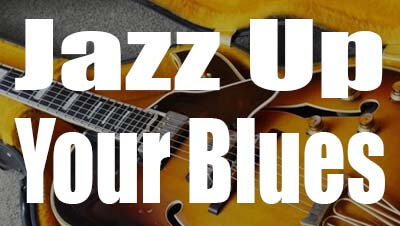 If you understand blues, you can start to make some small changes which will add a jazz dynamic to your playing. In this lesson we will cover some of those small changes you can integrate into your playing today. 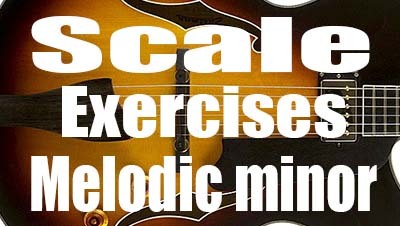 Learning to maneuver through scales on your guitar will bring about a ton of benefits to you, as a player. First of all, you'll begin to perceive music a little bit differently – you'll find logic where you ought to think there was none, you'll understand how your favorite composers got their brilliant ideas, and, most importantly, you'll get to put the theory into practice. What's more, the whole journey of exploring the theoretical sphere of music concerning the scales isn't all that hard. Essentially, you'll found yourself amidst the crossroads, and you'll have to choose a path – you'll either delve deep into books about music theory, or you'll have to figure everything out yourself. Regardless of the path you wish to take, mastering and learning guitar scales is, quite frankly, easy. We've brought together a short list of five tips that will make the process even simpler, and more entertaining. In jazz, there are many types of turnarounds and progressions that eventually we all must encounter. A key part of how you practice should be in preparing yourself for these progressions and turnarounds. Whether that is by learning a shed-full of Parker’s II V I licks, by practicing exercises over progressions or even by learning a new standard. The end result is that you are better equipped to deal with what is in front of you in the moment on the bandstand. 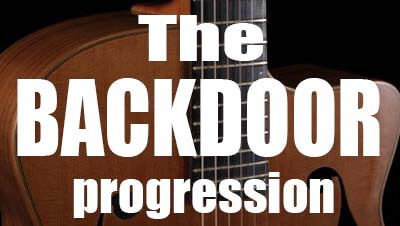 To this end, I’m going to talk to you today about a progression known as the backdoor progression. Giant Steps is one of those tunes in jazz that sends a bolt of fear through a lot of young or even experienced jazz musicians. It certainly does that to me anyway! The fast harmonic rhythm and the seemingly distant relationships between the chords means it is a very daunting challenge. 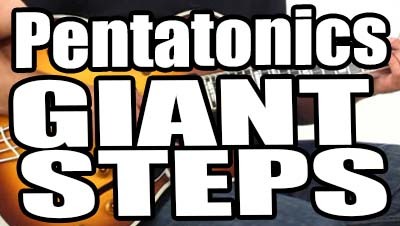 However, there is a very cool and simple way of practicing navigating through these changes and it involves using 3 different pentatonic scales. 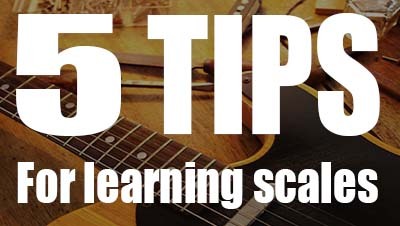 Learning and playing scales can be an important part of any guitarist’s practise regime. By playing scales in a variety of ways we can develop our familiarity with the fretboard beyond simply going up and down scales. In this tutorial we will look at combining two different scale patterns by shifting between them on various strings. For this we are going to use two patterns of an Eb Melodic minor scale, patterns 2 and 3. The Melodic minor scale consists of the intervals R 2 b3 4 5 6 7 (R is for the Root note). When I first joined my high school jazz band, it was a humbling experience. I knew my major scales and modes, but only with the roots on the E and/or A string. This worked fine for playing pop music, but the way jazz progressions were always changing chords with each measure, my hands were constantly getting lost. If I was playing a C major line in eighth position, how did I switch to a Bb mixolydian scale without jumping my hand up or down and making the improvisational idea totally disjointed ? I could never understand how jazz guitarists could keep their ideas going as the chords changed from moment to moment. And how did players like Joe Pass know how to run an improvised line right into a chord voicing? Additionally, as I progressed to the higher registers of the guitar, I could never tell where I was in the scale anymore. It seemed impossible! The music of Thelonious Monk is music which evokes many different emotions and ideas in a huge demographic of musicians and instrumentalists. 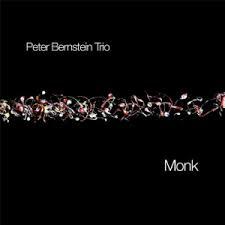 With that in mind, the emotions and ideas evoked by legendary jazz guitarist, Peter Bernstein, in this showcase album range from childish playfulness, faithful to the source of the music, to coherent and thorough modern jazz playing in the upper echelons of technical and interactive ability. It’s been noted previously in reviews, at the time of the album’s release, that a collection of Monk tunes by a guitarist is a rare occurrence that was a huge breath of fresh air to all those who knew about its existence. I’ve never heard such faithful music made with such individualism and taste without any sense imitation. This is most definitely Bernstein plays Monk and not the other way around. Taking care of your equipment is essential. Whether it’s your car, PC, or your guitar, in order for it to work properly and as for long as possible, you need to make sure that everything’s in order. Sure, you could take your guitar to a professional and have them do it for you, but why not learn to do it yourself? Not only will you save money and time, but you will also learn a thing or two about your instrument. Here are some quick and straightforward tips that will make setting up your guitar a piece of cake! While there is no absolute best jazz guitar for everyone, there are definitely a few jazz guitar models that would be a best fit for you. 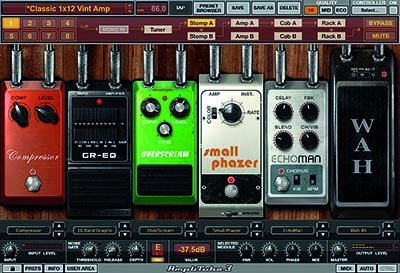 The trick is to learn enough about the different body styles and electronics to understand the sonic qualities that each jazz guitar expresses. You’ll want to educate yourself both on the different jazz guitar body styles and manufacturers. The more homework you do, the more your understanding will grow and the more confident you will be in your final purchase decision. So, you've decided to try your hand at Jazz guitar. This article will assume a certain base level of proficiency in the general language of music apart from the specific vernacular that informs jazz music, guitarists specifically. Not because it's a theory article, but because if you hope to learn how to play this music (and any style, really) a little knowledge goes a long way. If you have no background in notated music, theory and harmony please pick up Barbara Wharram's Theory For Beginners. It will open the door.